Stuttgart: Maria Sharapova spent time prior to the start of the Stuttgart Grand Prix flinging a factory-fresh 700-horsepower Porsche 911 RT2 RS around a test track in Germany's automobile capital. For the five-time Grand Slam winner who turned 31 last week, the PR exercise with former F1 driver Mark Webber, alongside a photo shoot for a loyal sponsor, was a joy in comparison to last season. After serving a 15-month drugs ban for use of the illegal heart medication meldonium, Sharapova's return to the WTA circuit began in Stuttgart exactly a year ago. She is back, coached for a second time by Swede Thomas Hogstedt after splitting in March with Sven Groeneveld, and begins in the first round against France's Caroline Garcia. Her 2017 Stuttgart comeback rekindled fond memories for the Los Angeles-based Russian, who lifted the title three years in a row from 2012-2014. It was a relative success despite ending in the semi-finals with a defeat by Frenchwoman Kristina Mladenovic. 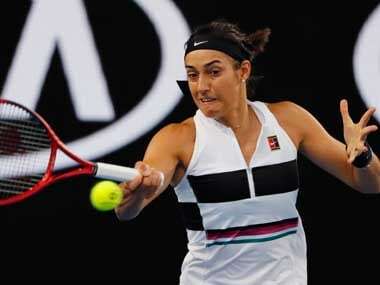 It marked the re-emergence of one of the most charismatic figures on the WTA, a winner whose star power was missed by many during her absence. Yet the road to return has been far from smooth for Sharapova, who has suffered with a forearm injury as well as dealing with subdued hostility from some players, fans and even tournament directors. Last year, the Russian was denied a French Open wild card and did not enter Wimbledon qualifying due to injury; her season highlight came when she won the Tianjin title in China after reaching the US Open fourth round. "There are a lot of things that I need to get better at and improve on. But looking at the overall picture, the overall beginning of this year... first thing is that I'm healthy," she said at the Australian Open. "I'm not starting from zero, there's a lot to build from — personally that's important for me." However, the World No 42 has managed only nine matches in 2018 due to her arm problem. "This is a process. It's a lot of things that take time," she added in January. 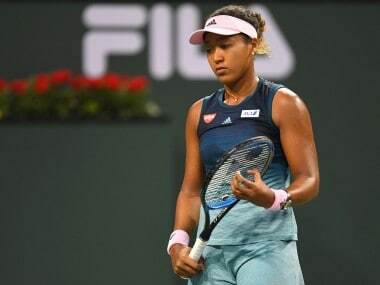 With her fitness still not up to standard, Sharapova lost in the first round of Doha in February, withdrew from Dubai and was sent out in the Indian Wells first round by eventual tournament winner Naomi Osaka of Japan. But her Stuttgart return comes at a crucial time as she looks to play herself into form for the clay season and a tilt at adding to her 2012 and 2014 Roland Garros victories. Others looking to kick-start their French Open preparations include fellow former World No 1 Angelique Kerber, Germany's most recent golden girl who followed Sharapova's title hat-trick by winning Stuttgart back-to-back in 2015 and 2016. World No 1 Simona Halep heads the field ahead of Spain's Garbine Muguruza, third seed Elina Svitolina and Roland Garros holder Jelena Ostapenko.